Take a day trip from Guilin along the impressionable Li River, twisting and turning through lush Chinese landscape that will have you 'snap happy' with the camera for the majority of the sightseeing tour! After some local, fresh catches for lunch on the way to Yangshuo, you will have the opportunity to indulge in a bit of shopping and maybe pick up some real bargains in pearl and jade, or fine Chinese paintings. Take a private day trip from Guilin to Longsheng to discover China’s rich minority culture. Interact with the Zhuang and Yao people in Longsheng and learn about their traditions. 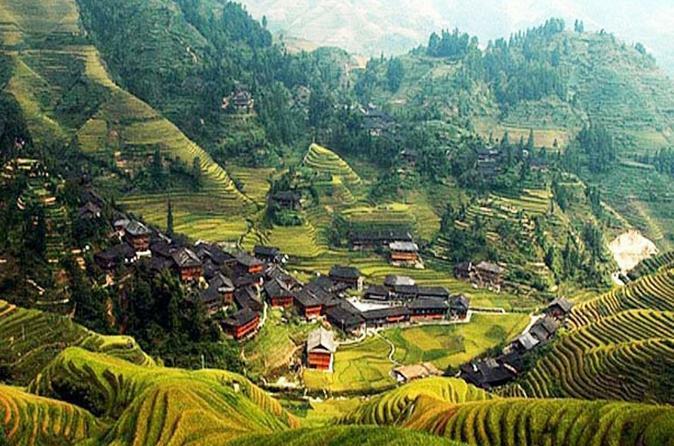 Trek up to the famous Longji Rice Terraces and admire the panoramic view. The terraces resemble great chains of ribbons as they wind from the foot of the hill to the top. It’s one of China’s most scenic natural sights! 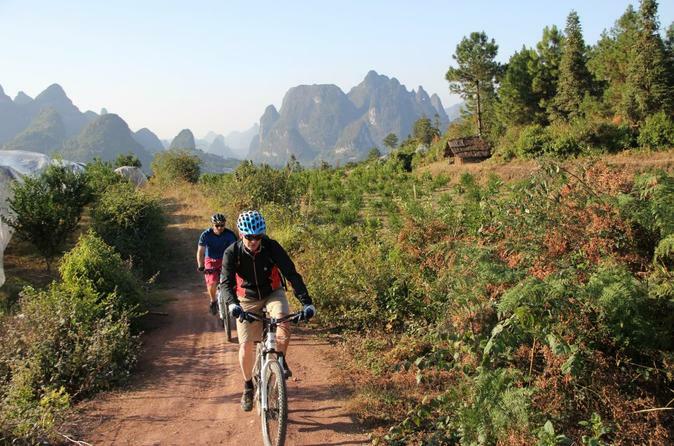 Experience the unspoiled scenery of rural Yangshuo on a 5-day bike tour, perfect for those with a hunger for adventure! 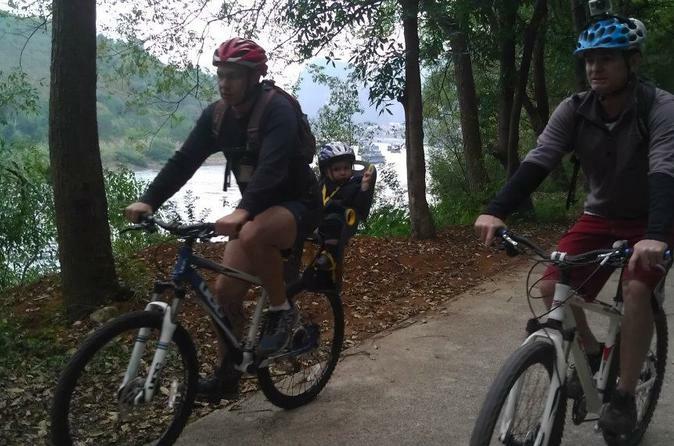 Enjoy several moderate bike rides with your guide along rice fields, orchards and bamboo-lined rivers. Take a rafting trip down the Li River, explore local markets in Yangdi and enjoy an additional activity of your choice: rock climbing, kayaking, cave exploring or even a cooking class. Round-trip transportation and bike rental are included. You’ll stay overnight in local villages, giving you a truly immersive experience! Experience two of Guilin’s gems on this private tour. 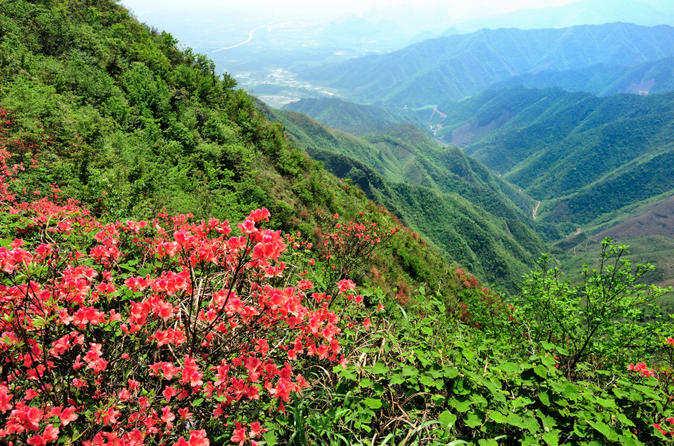 Take an exciting chairlift ride to the top of Yao Mountain, beautiful year-round, for stunning views of misted limestone hills and villages. Then, tour a tea plantation, where you’ll learn about Chinese tea production and sample some green tea during a traditional tea ceremony. Private round-trip transport is included for your convenience, and your private guide will ensure an enlightening experience. 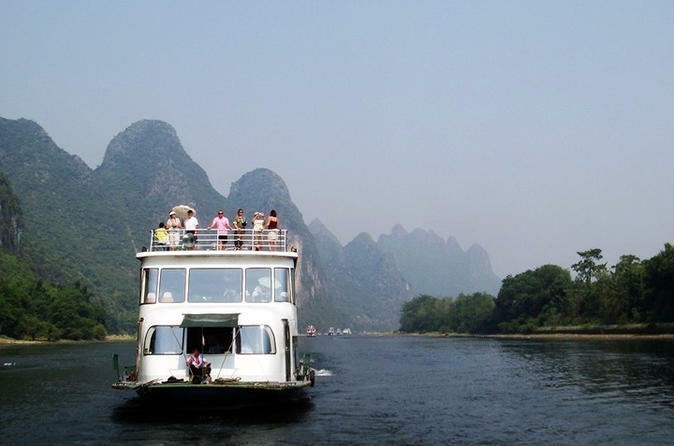 This small group tour leads you to experience the classic and unforgettable cruise along Li River for 3 hours. It is one of the must-do highlights in Guilin, and you will check in to a deluxe cruise with your English-speaking local expert guide on-board. This is your perfect chance to enjoy the picturesque view along Li River from Guilin to Yangshuo. 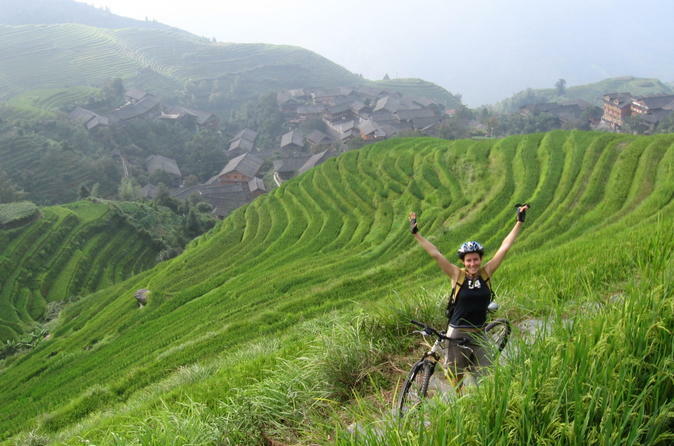 Get ready for an adventure-filled week as you explore the rural countryside of Guangxi by bike! 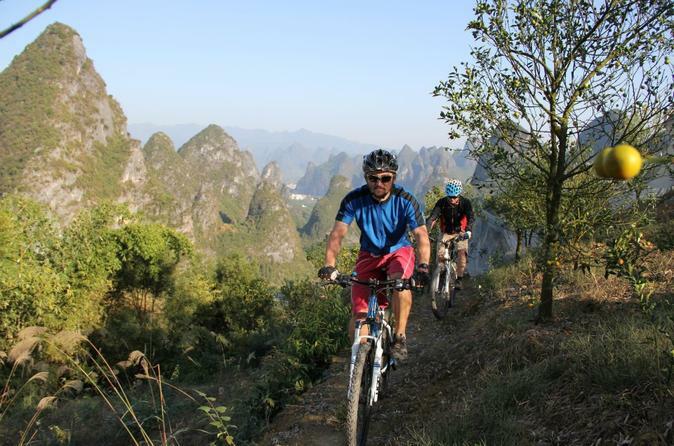 Your guided bike tour will take you off the beaten track from Longji to Yangshuo, by way of Guilin and Xingping. 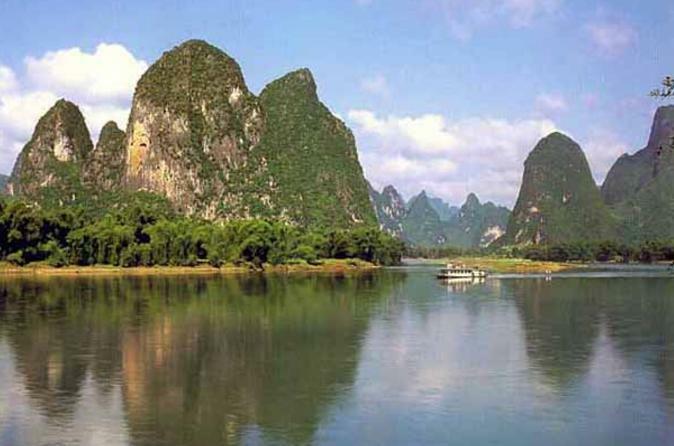 Admire the region’s beautiful scenery, including the Li River and the Dragon River Valley. 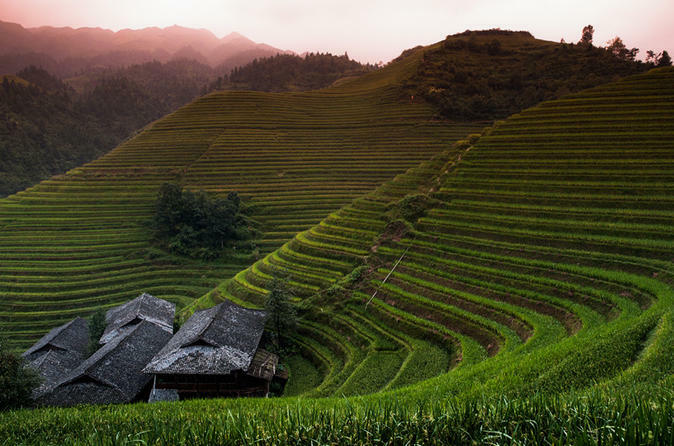 You will be introduced to the lifestyles of Yao and Zhuang minorities at the Longji Rice Terraces, as well as the daily lives of local farmers and fishermen in the villages of Ping’an, Dazhai and Xingping. Put your endurance to the test on this exciting Chinese adventure! Enjoy an amazing outdoor adventure that’s perfect for the whole family on this 5-day Yangshuo tour from Guilin. Take guided bike rides through scenic mountain and rural landscapes, relax on bamboo raft ride down the Jade Dragon River and enjoy a wide range of activities including cave exploring, a Chinese cooking class and a calligraphy or water painting lesson. Stay overnight in quaint country cottages and comfortable hotels and enjoy round-trip transportation. 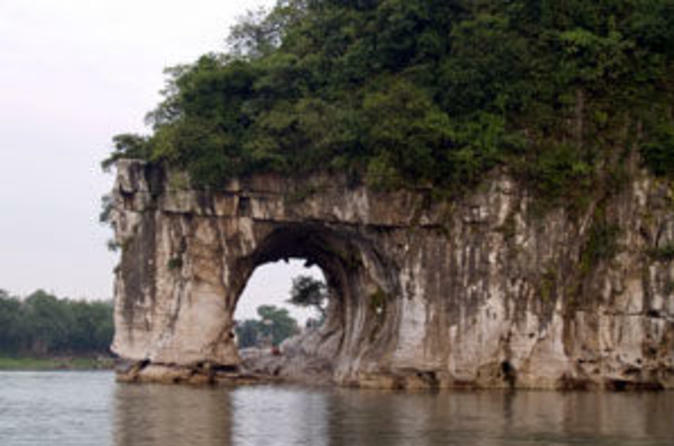 This full-day bus tour offers great value for you to explore a lot of interesting attractions in Guilin. Follow your knowledgeable guide to experience the picturesque rice terraces and discover the unique culture and tradition of local minority village. Visit the local women with long hair as part of their tradition in Huangluo Yao Village, the colorful dress with different patterns and their unique architectural style. The highlight of the trip is hiking along stone-paved path to the top of Longji Mountain passing by Ping’an Zhuang Village. Try local fresh vegetables and rice cooked by bamboo poles for lunch. Sometimes a step into other people’s seemingly mundane life is a fascinating discovery for your own life. Come and unravel the secret traditions and cultures that are well kept in the Yao and Zhuang tribes of Longsheng, Guilin. 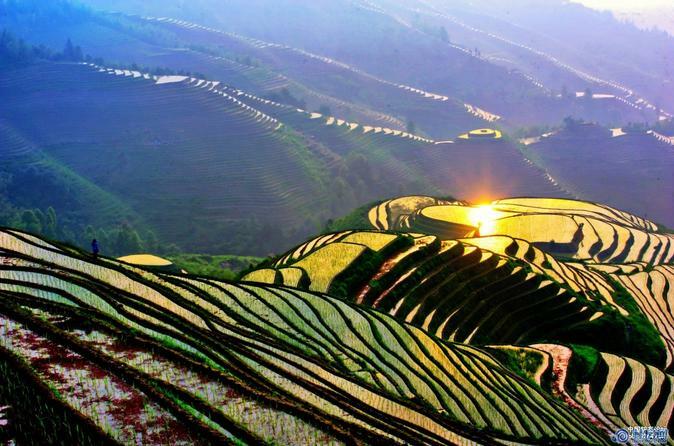 Trek up the famous Longji Rice Terrace and let the spectacular scenery imprint itself in your memories. We will also take you to Huangluo Yao Village. It is also a Yao thing to start keeping long hair for the girls. At their 12th birthday Yao girls begin growing long hair and treating it with secret ingredients made of rice-washed water and medical herbs. 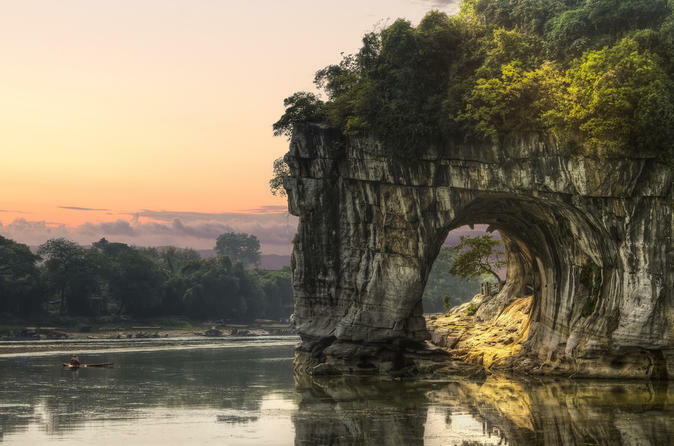 This half-day tour takes you around to Guilin’s most amazing tourist sites, including the Reed Flute Cave, Fubo Hill, and the famous Elephant Hill Park.